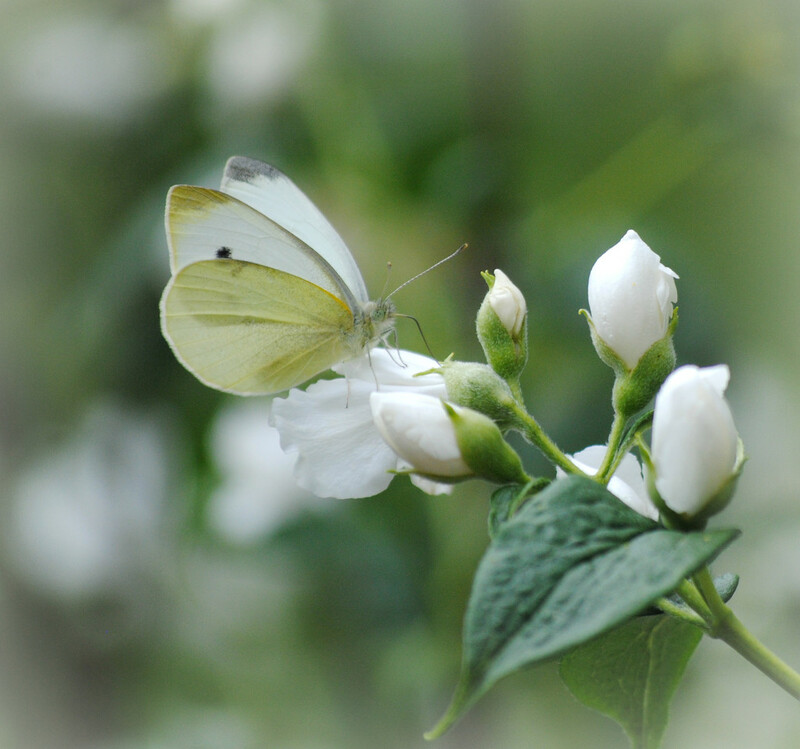 So delicate, this cabbage butterfly tries to camouflage with my white flowers. We see these guys a bunch flitting around in our yard. I've had a heavy feeling, hard week. Glad it's Friday! Wishing you all a great weekend. An instant fav for me - what lovely focus and fabulous dof! Very pretty! The coordinating colours are wonderful! I've seen these, but I never knew what they were called. I think they're hard to capture, so I'm impressed. I'm glad your hard week is over! Fabulous close-up and composition! I'll look for that book and I love this shot--fav! Lovely, Amanda! Such great detail! Gorgeously ordinary, Amanda. Hope you can use the weekend to recover. Beautiful image. I must try and find that book! Nice capture! I've had a hard week, too! Glad it's the weekend so I can get myself back on the happy track. Wish you an extraordinary weekend! beautifully composed .... I see this type of butterfly all the time. Fantastic composition of this smallish butterfly! Great detail as well! Hiding beauty amongst the ordinary, those sly creatures. A lovely shot, especially on black. Sorry your week has been hard on you. My hubby says "the days are long, but the years are short." We experience this daily. Hang in there. @rosiekerr Thanks for your wise and very true words. Beautiful image Amanda. Great DOF. So beautiful. Love the soft look and the white color!